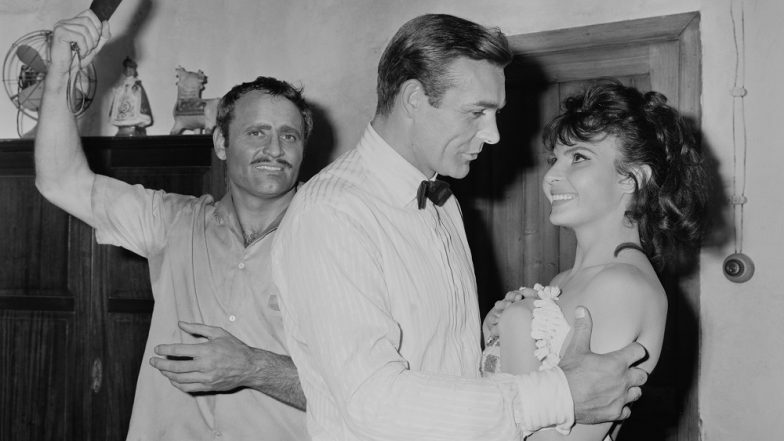 London, April 8: Serbia-born actor Nadja Regin, best known for starring in Bond films From Russia With Love and Goldfinger, died Monday at the age of 87. The official James Bond Twitter account shared the news on the microblogging site. "We are very sorry to learn that Nadja Regin has passed away at the age of 87. Nadja appeared in two Bond films, 'FROM RUSSIA WITH LOVE' and 'GOLDFINGER'. Our thoughts are with her family and friends at this sad time (sic)," the tweet read. She was best known for her role as the mistress of Kerim Bey in "From Russia with Love" and had a smaller appearance as Bonita in the pre-credit sequence of "Goldfinger", which featured Sean Connery as the iconic British spy. Regin also worked for the small screen and her TV roles included shows such as The Avengers, Danger Man, The Saint and Dixon of Dock Green. The actor appeared in several British TV programmes in the 1960s and also appeared in the 1964 New Zealand film Runaway. Danny Boyle Walks Out Of The Upcoming James Bond Movie Citing Creative Differences. In the 1970s, she worked in select scripts for film companies including Rank Films and Hammer Films. After a decade, the actor moved away from the limelight to set up a small publishing company alongside her sister Jelena, which specialised in history and philosophy. She also wrote a novel, titled The Victims and the Fools, which she published under her full name Nadja Poderegin. The news of Regin's death comes a week after her "Goldfinger" co-star Tania Mallet, 77, passed away.